Stuart signed from Berwick Rangers on a free transfer. Initially he was on trial for a month and was then signed. He was with United for five seasons but in competition for the centre half role, found himself in every other defensive position during his Tannadice career. He was released in April 1973 and joined Montrose. Stuart was born on this date in Edinburgh. 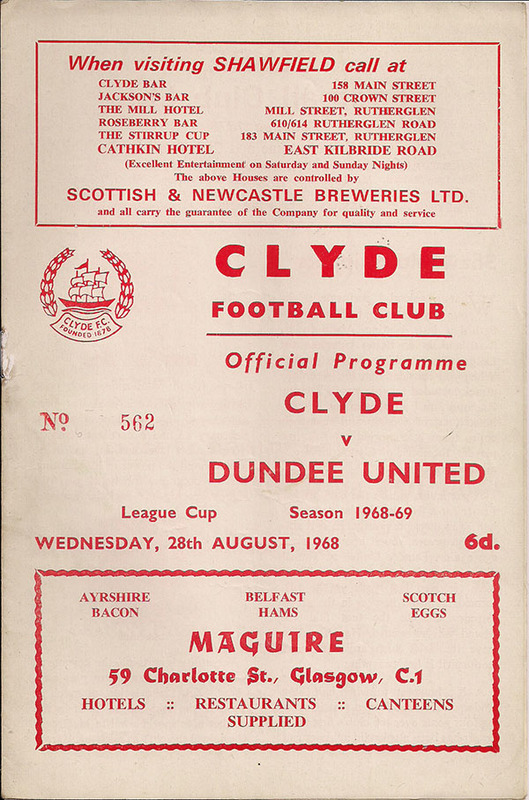 Having drawn their first league game of the season with Rangers, United headed to Clyde hoping to build on the point gained at Tannadice to help get their league campaign off to a flyer. Ian Mitchell returned and Ian Scott dropped to the bench. A quite remarkable holiday fixture this turned to be when you look at the final scoreline andtake into account the fact that our Perth neighbours appeared well on their way to a point with 35 minutes left on the clock! 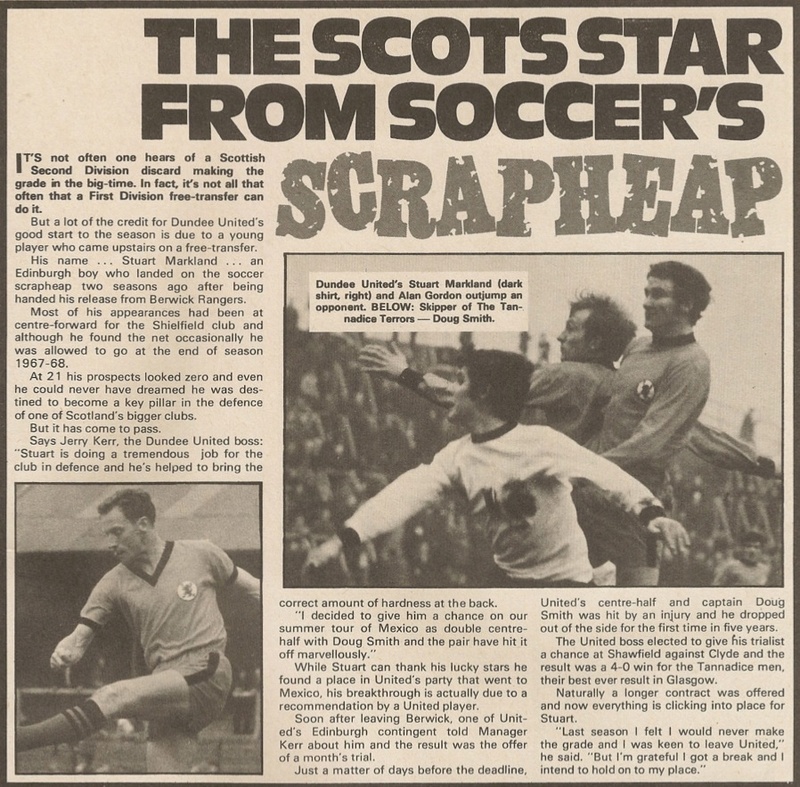 Suddenly, Alex Rennie's side were hit with an unexpected torrent of goals which rang up Jim McLean's men's best win of the season. Jim Pearson had given Saints an interval lead and in truth it was well deserved.